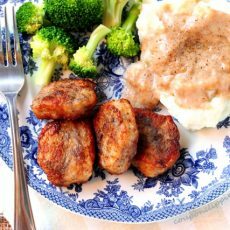 These chicken fried pork medallions with gravy are ridiculously easy to make. 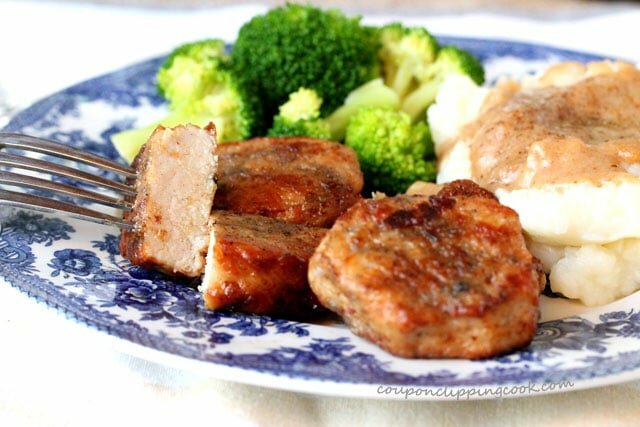 Pork tenderloins or boneless pork loin filets are great to have on hand in the freezer for a quick and easy dinner. The only thing is that they can be expensive. But when they’re on a really good sale, I’m in….time to stock up. 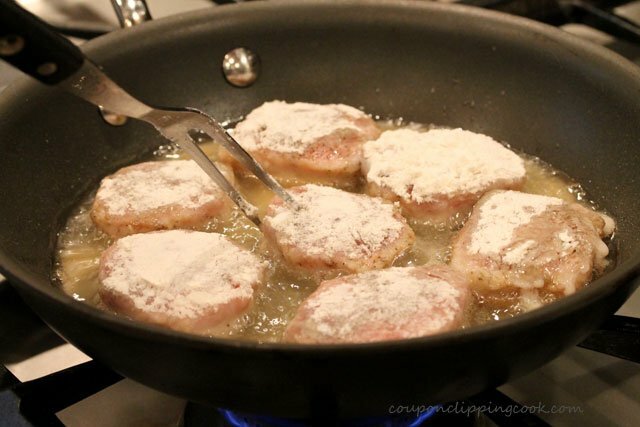 I should be more creative when cooking pork loin but I always seem to make them the same way, in medallions that are seasoned with salt and pepper, coated with flour and cooked just like how I make fried chicken. One of those less-is-more recipes. 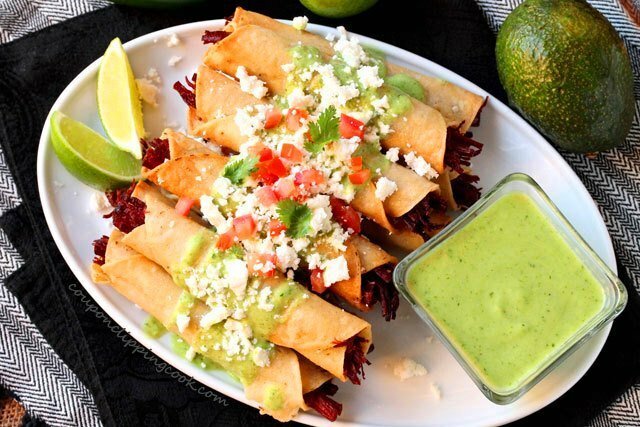 When made this way, to me they smell and taste just like comfort food and that’s not all. 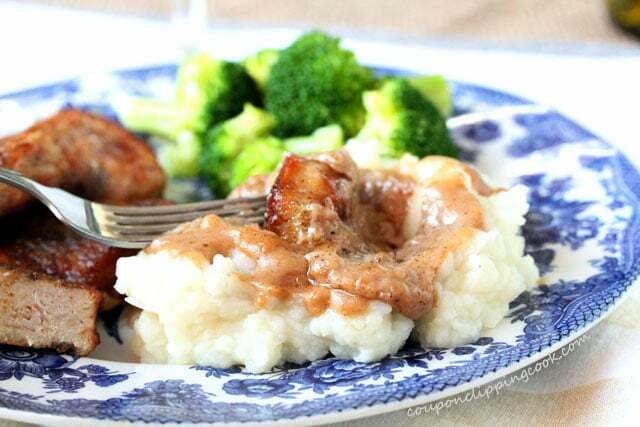 A simple gravy can be made from the crunchy bits left in the pan. 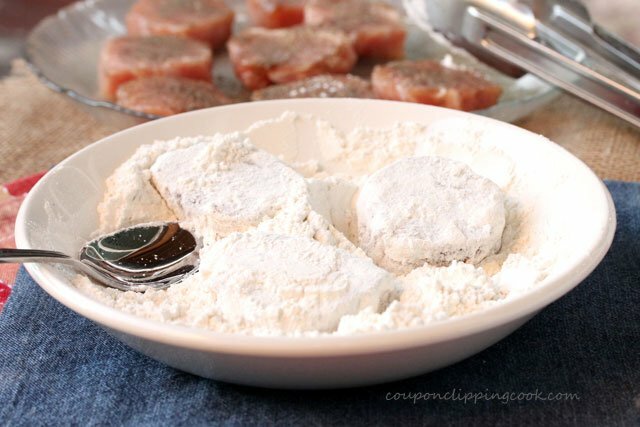 It takes just 5 ingredients to make these yummies and that includes the salt and pepper. To make the gravy, just add one more ingredient, milk. So let’s check out the ingredients, but wait, first a super quick thank you for stopping by CCC. Ok, on to the ingredients. Cut the fat and “silver skin” off of the outside of the pork. Cut the pork into 1-inch thick width-wise slices. …on both sides of the pork. 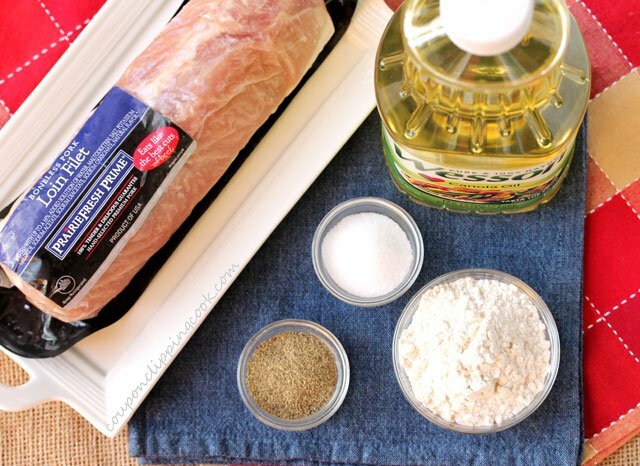 …and coat all sides of the pork with the flour. Set aside for just a moment. Heat a medium-size skillet on medium heat and add the canola oil. 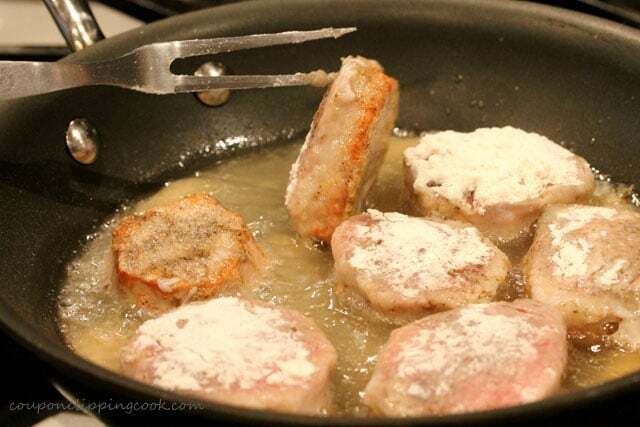 Sprinkle a pinch of flour in the oil and when the oil starts to bubble, using a cooking fork or tongs, carefully add the pork to the pan. Depending on the size of the pan, the pork may need to be cooked in batches. When the bottom side of the pork starts to turn a golden color, carefully turn the pork over. 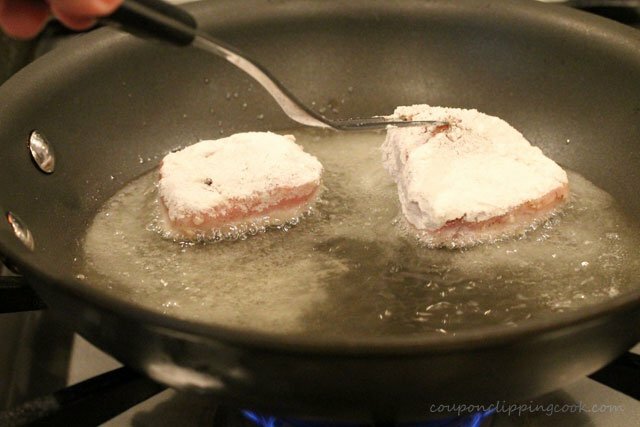 TIP – If the oil is getting too hot (bubbling a lot or the meat is browning too quickly), turn the heat down just a bit. 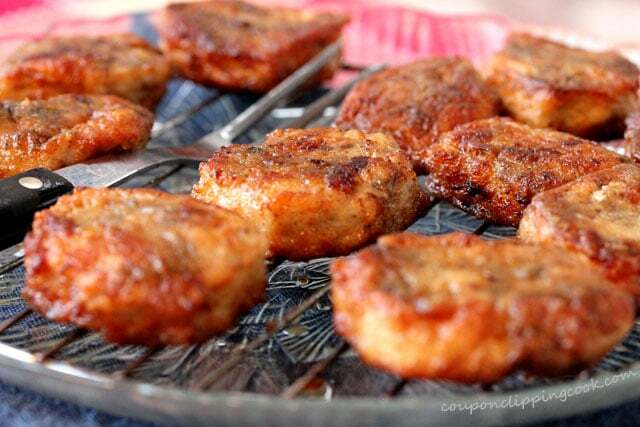 Continue to turn the medallions over as the bottom sides of the pork turn a golden color. 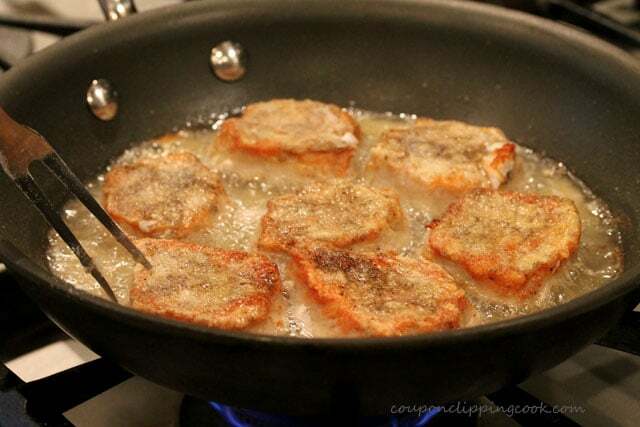 remove the medallions from the pan on to a cooling rack (that is sitting on a large plate to catch any drippings). 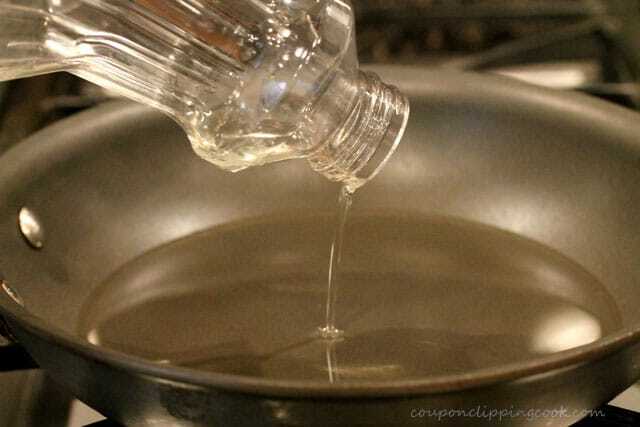 Remove all but 3 tablespoons of oil from the pan (try to keep as many as the crunchy bits in the pan as possible). An option is to carefully pour the excess oil from the pan into a coffee mug and wait until the oil is completely cool before discarding it. Heat the pan on low to medium heat and add 2 tablespoons of flour. Constantly stir for about 2 minutes. Next, while stirring, slowly add milk to the pan. Continue to stir until the desired consistency is reached. Add salt and pepper to taste. 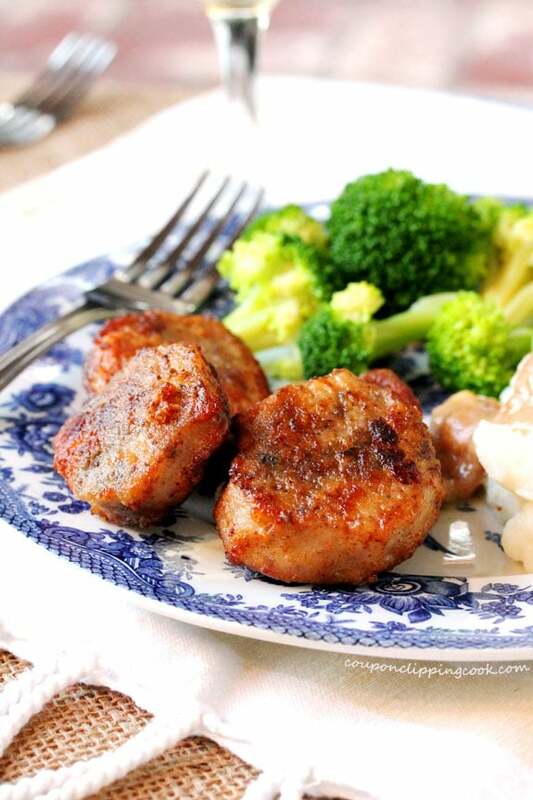 Serve the pork medallions as is or with a dipping sauce (bbq sauce is a quick and easy option). 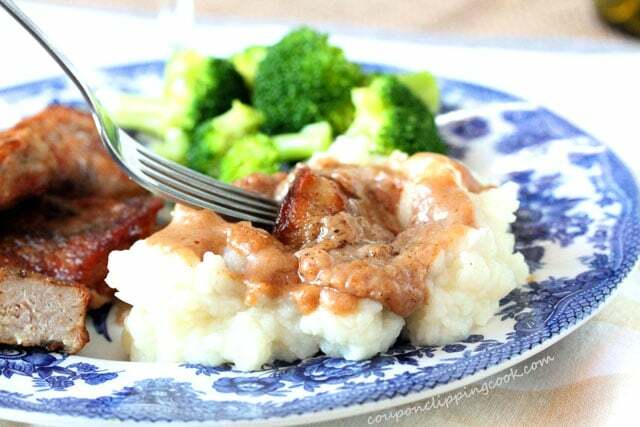 Or serve with veggies, mashed potatoes and some of that wonderful gravy. Cut the fat and "silver skin" off of the outside of the pork. 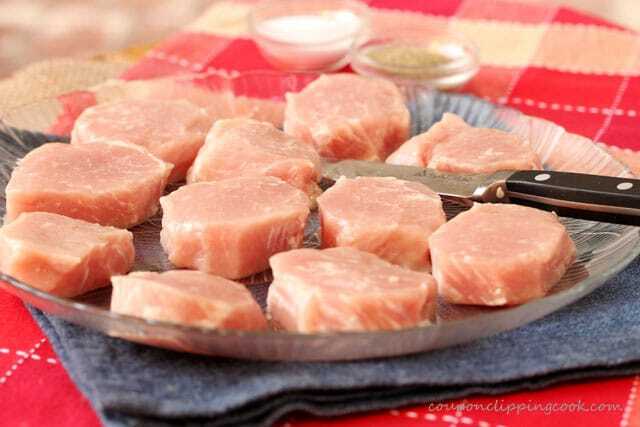 Cut the pork into 1-inch thick width-wise slices. 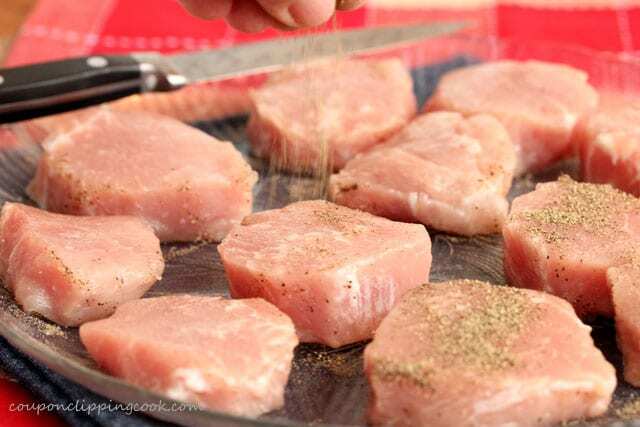 Sprinkle salt and pepper on both sides of the pork. 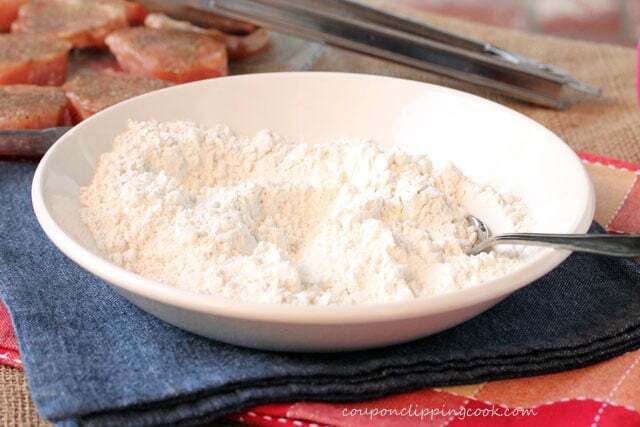 Add flour to a shallow bowl and coat all sides of the pork in the flour. Set aside for just a moment. Heat a medium-size skillet on medium heat and add the canola oil. 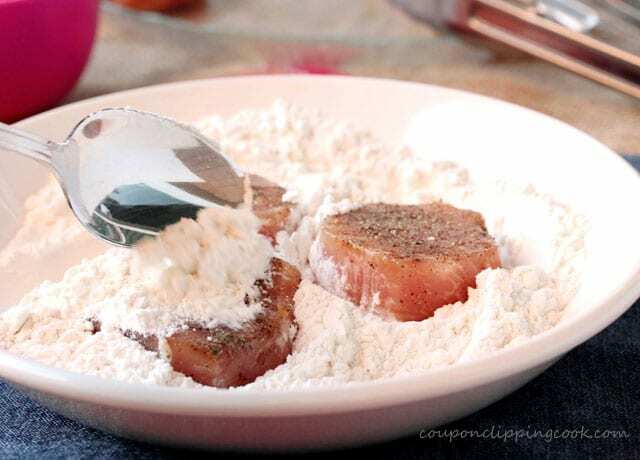 Sprinkle a pinch of flour in the oil and when it starts to bubble, using a cooking fork or tongs, carefully add the pork to the pan. 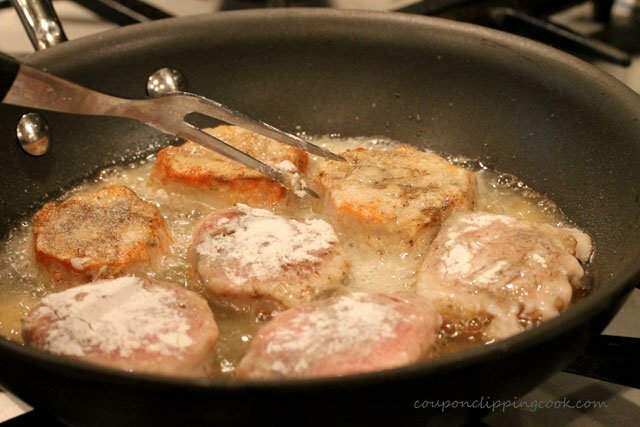 Depending on the size of the pan, the pork may need to be cooked in batches. When the bottom side of the pork starts to turn a golden color, carefully turn the pork over. 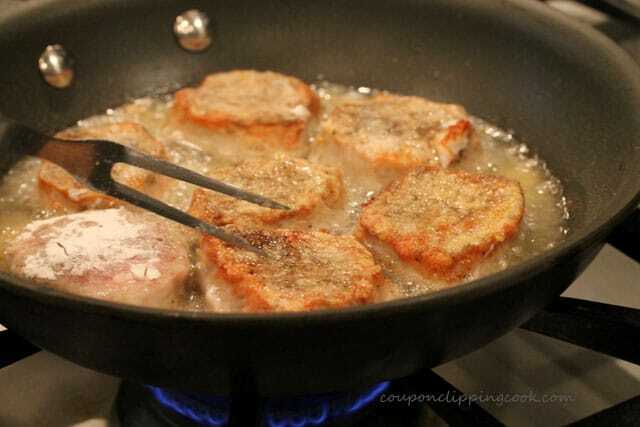 If the oil is getting too hot (bubbling a lot or the meat is browning too quickly), turn the heat down just a bit. . 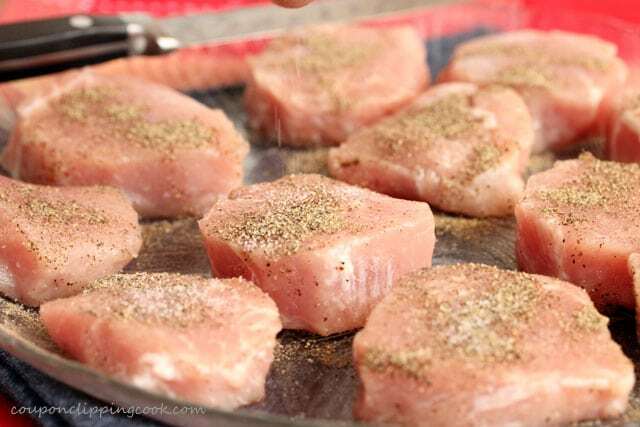 When the pork is thoroughly cooked, remove the medallions from the pan on to a cooling rack (that is sitting on a large plate to catch any drippings). 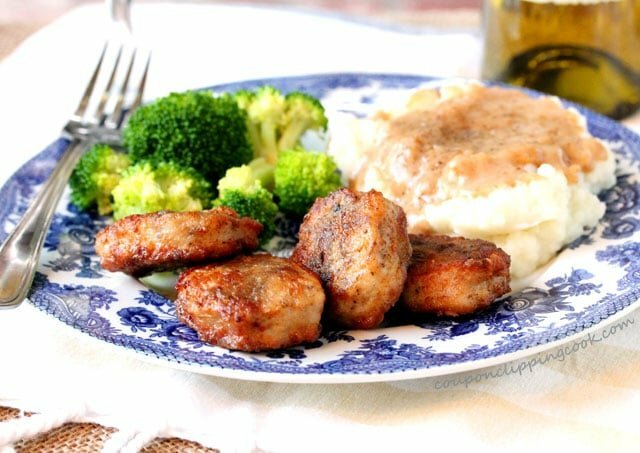 Serve the pork medallions as is or with a dipping sauce (bbq sauce is a quick and easy option). 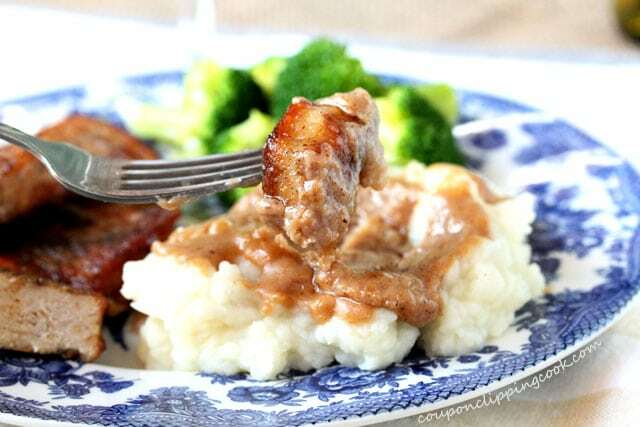 Or serve with veggies, mashed potatoes and some of the wonderful gravy made with the crispy bits left in the pan when cooking the pork. 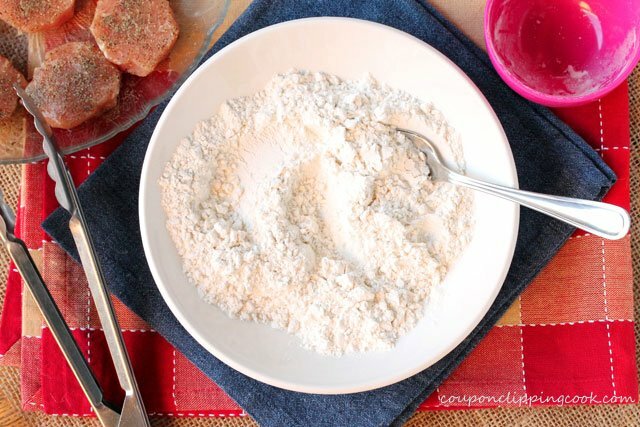 Heat the pan on low to medium heat and add 2 tablespoons of flour. Constantly stir for about 2 minutes. Next, while stirring, slowly add milk to the pan. Continue to stir until the desired consistency is reached. Add salt and pepper to taste. If the oil is getting too hot (bubbling a lot or the meat is browning too quickly), turn the heat down just a bit.